now this tag isn't as sparkly as tag #1 but there was some learning. I didn't have the sticky back canvas. What I did was I used grungepaper and coated it with Aleene's tacky glue then placed a piece of canvas that I had purchased from a fabric store about 2 yrs ago over the glue. Once dry then I made the diecut. The brads were distressed with the same hammer that Mr. Tim used. I had purchased mine a long time ago and I do like using it every once in awhile. What a CLEVER way to make a canvas die-cut!! 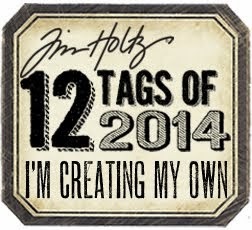 Another TERRIFIC tag, Donna! I'd say that you are on a ROLL, girl!! 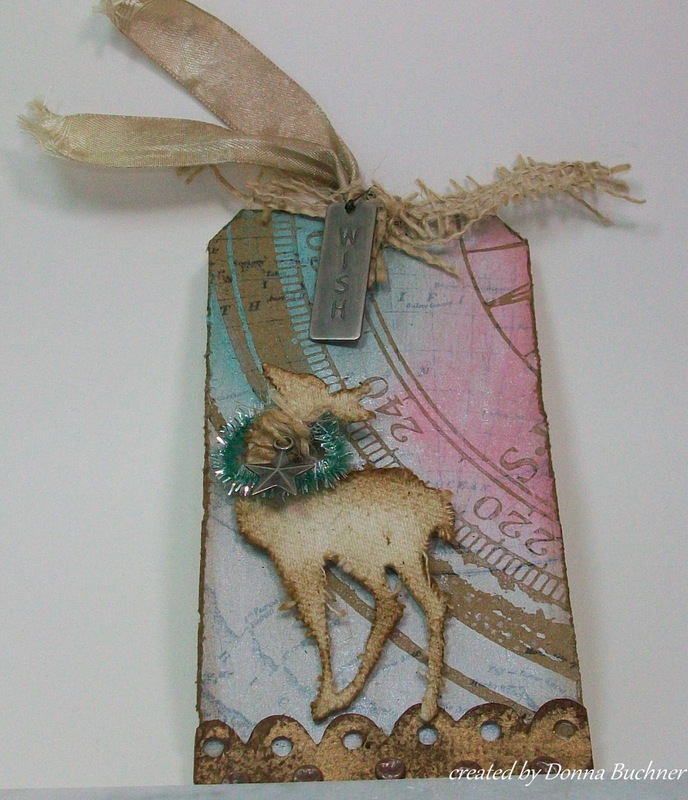 This is a very beautiful tag - gorgeous!